The landscape sure has changed at Disney’s Wilderness Lodge. 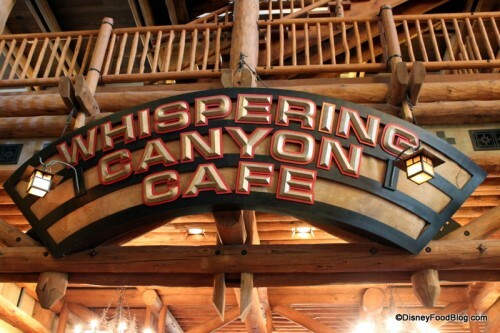 With this summer’s opening of the Disney Vacation Club Copper Creek Villas and Cabins, it was anticipated that more and elevated dining options would be needed at the already popular Resort. 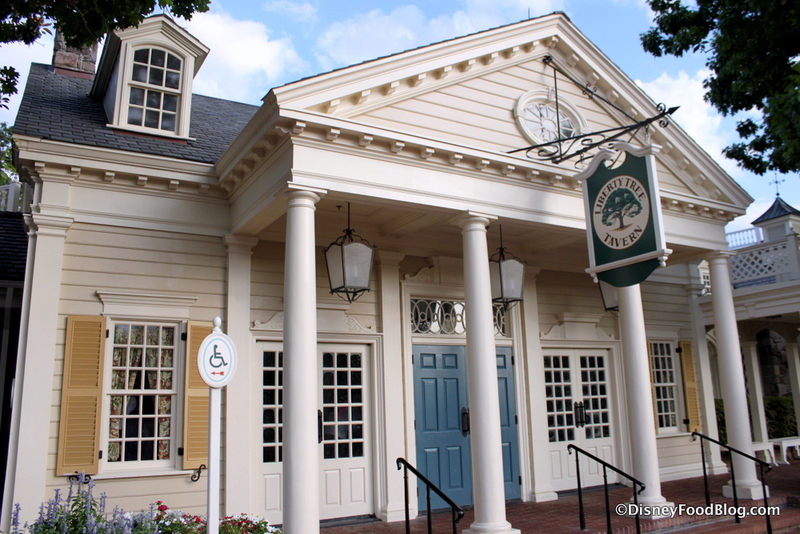 Hence the refurbishment of Roaring Fork as well as the addition of Geyser Point Bar & Grill. And honestly, Geyser Point really is a terrific new spot. 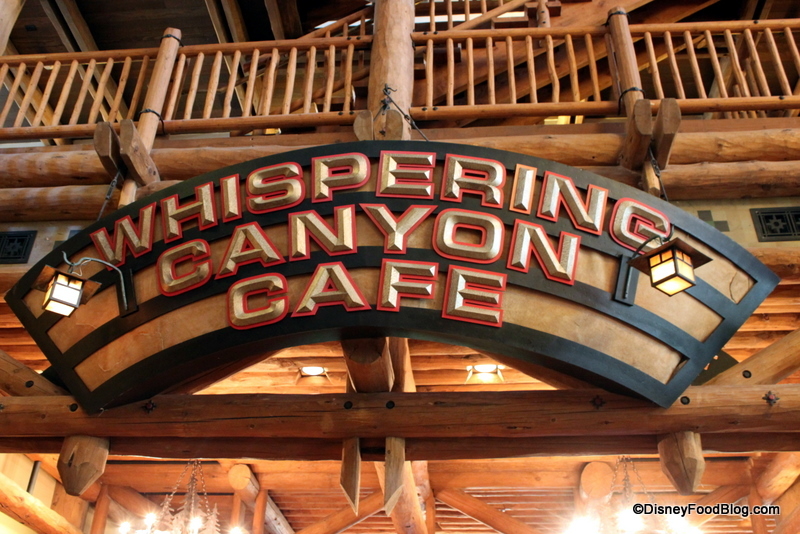 But today I’m taking you back to where it all started (in regards to great lounges at Wilderness Lodge): Territory Lounge. I don’t care how many terrific enhancements they make to the Lodge. This spot will continue to rank among the best lounges in Walt Disney World, in my opinion. We talk a lot about pretzels here at the DFB — because we pretty much love all of them. Ham and Cheese Stuffed Pretzels? Love. 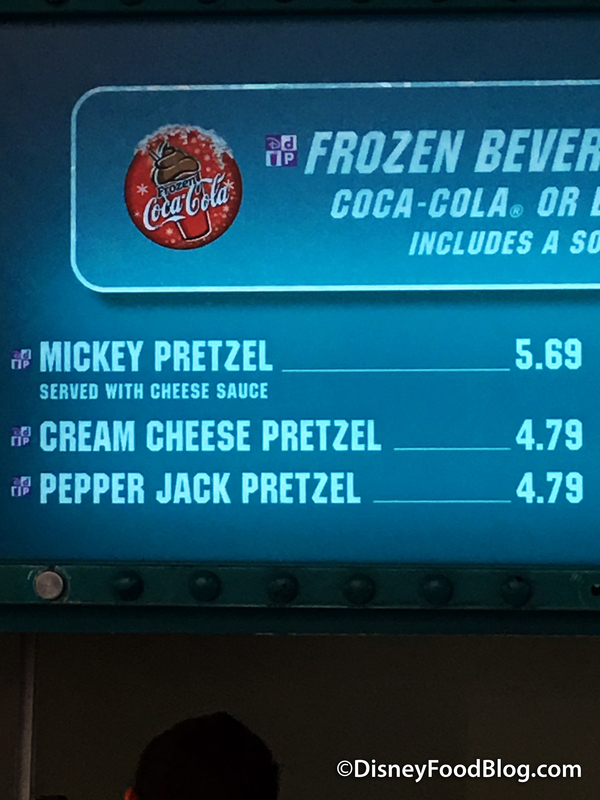 Authentic German pretzels in World Showcase? Uh-huh. Pretzel Roll Breadsticks at Le Cellier? Yaaaass x 5000! 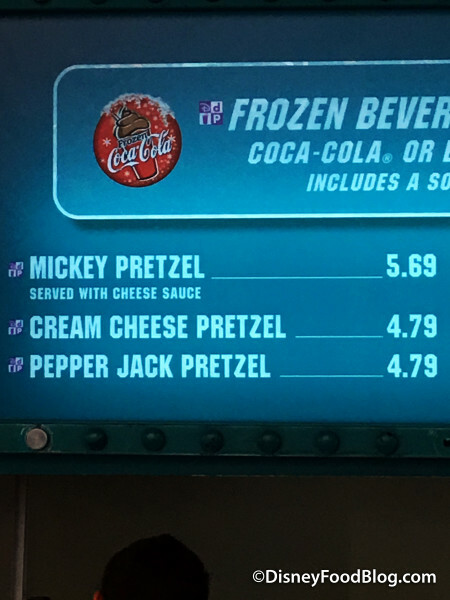 So when we heard that the Jalapeno Cheese Pretzel (which they’re now calling the Pepper Jack pretzel) we’ve loved for years (and which has always been available in Disneyland) was staging a comeback, we got twisted up in a whole bunch of excitement. So you know we had to get over to the Lunching Pad ASAP to tear off a piece of that. The Lunching Pad is located at the base of the Astro Orbiter adjacent to the Tomorrowland stroller parking — so beware that this area can get super crowded at times. But it’s worth it to pick your way through the chaos because the Lunching Pad serves up some great classic theme park grub. We particularly enjoy a good Hot Dog or Frozen Carbonated Beverages. Yum! But on this visit, we just wanted pretzels. All. The. Pretzels. So, I’ve got a post coming up reviewing all of the absolutely out-of-this-world food I ate at Cookes of Dublin in Walt Disney World’s Downtown Disney on this recent trip; but I had to rustle up a quick suggestion for all of you headed to Orlando very soon…you MUST try this dip! 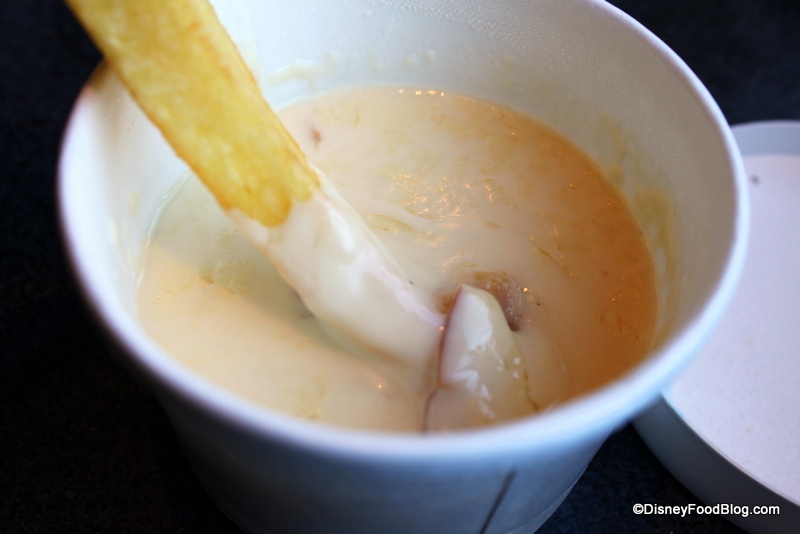 I’m creating a new series on the blog — DFB Must-Have menu items — just for this dip. It’s THAT good. 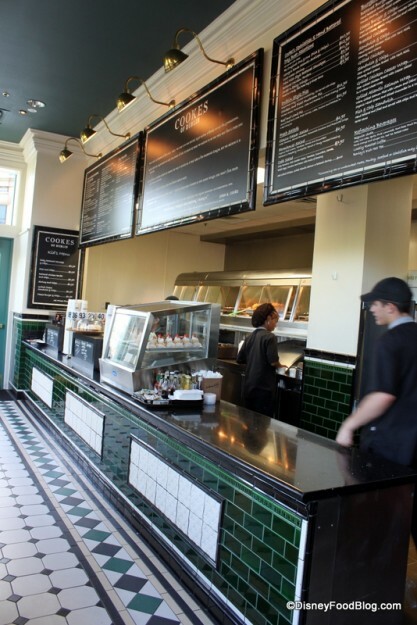 If you’re not familiar with Cookes, it’s a counter service location in Downtown Disney’s Pleasure Island area — located right next to Raglan Road Irish Pub. You order your food (anything from fish and chips to savory pies to a battered burger — don’t worry, we’ll cover all of it for you in a review soon! ), then have a seat while it’s prepared and brought to your table.